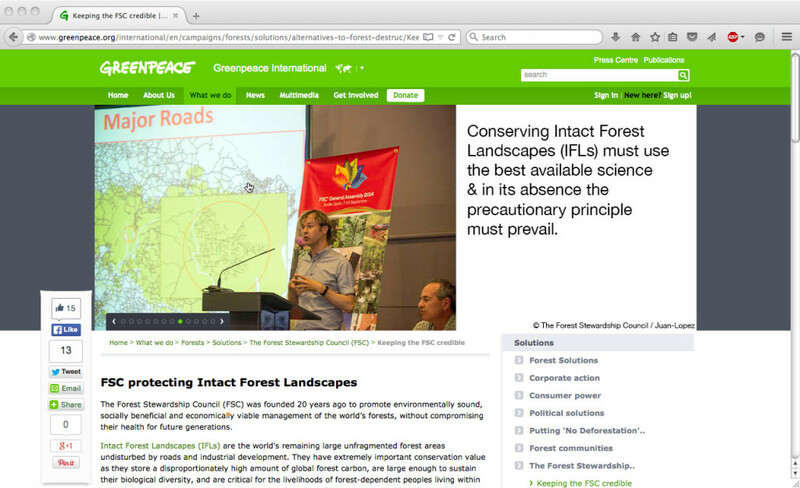 For Greenpeace I designed a slideshow/banner for an article about how the Forest Stewardship Council protects Intact Forest Landscapes. 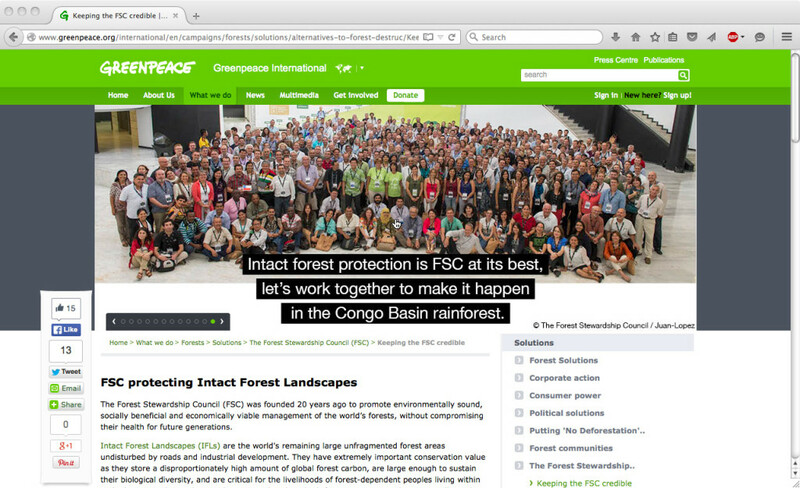 It included 12 slogans placed on 12 images. 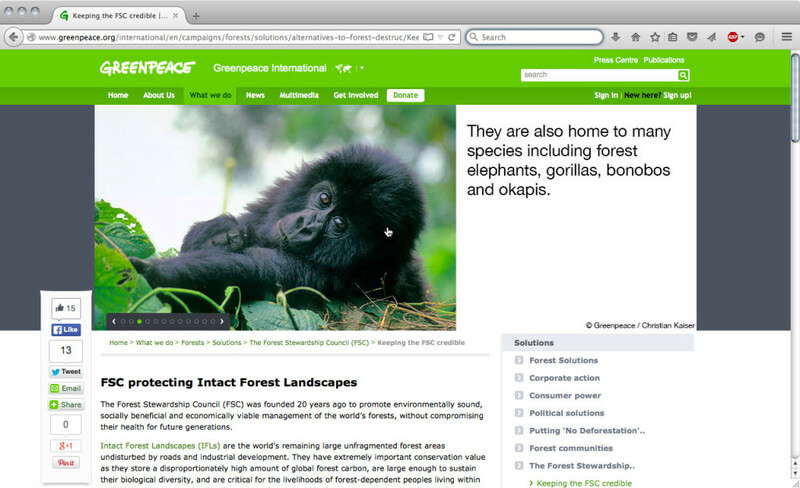 Below are some screenshots. 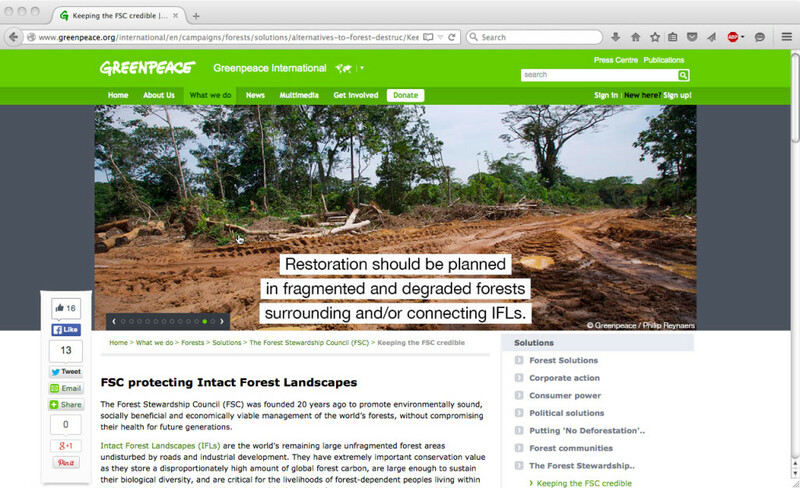 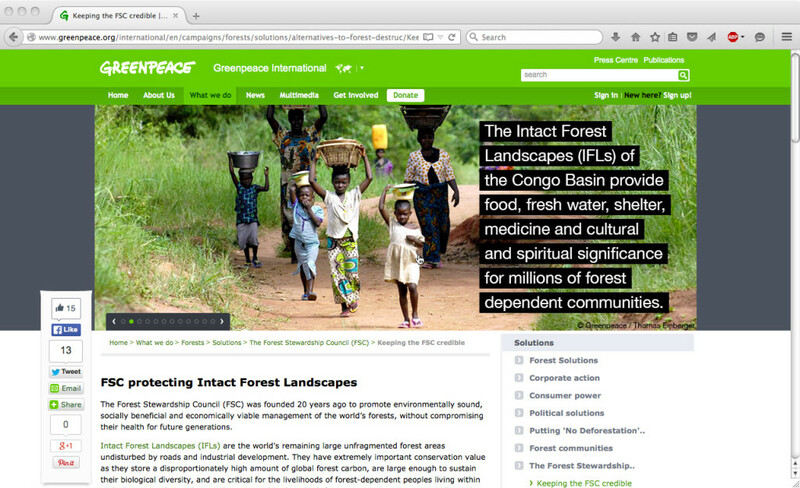 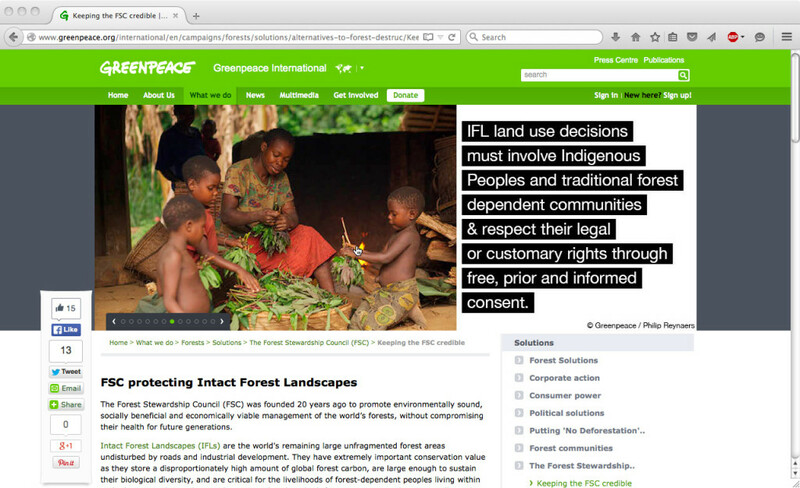 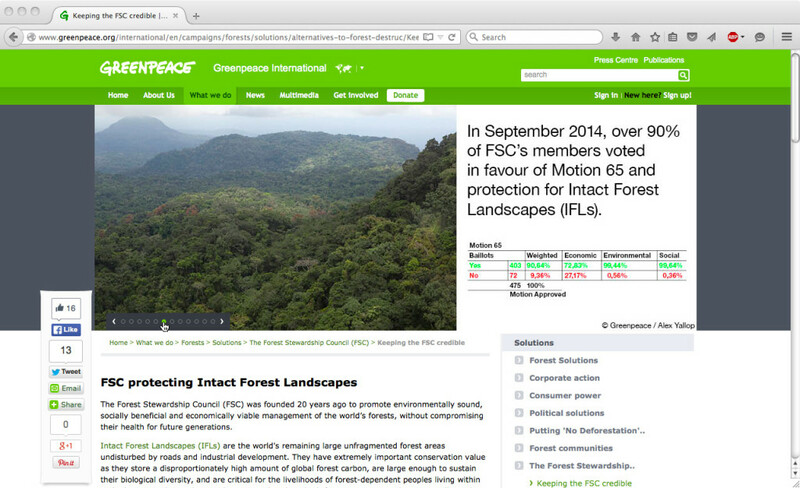 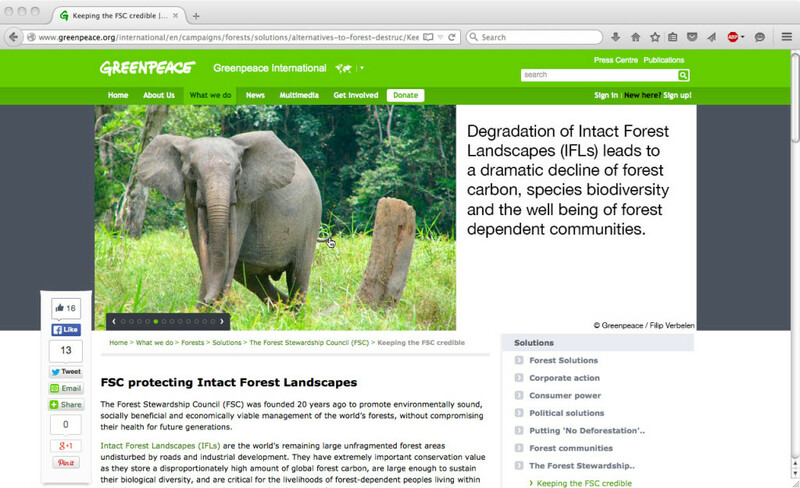 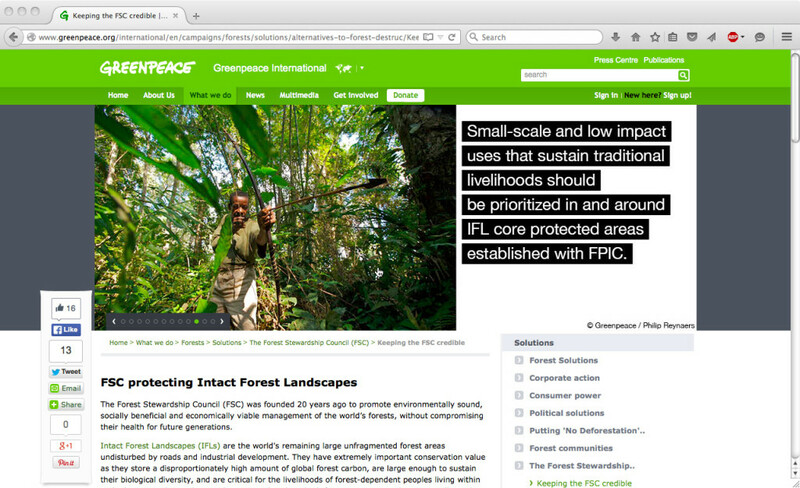 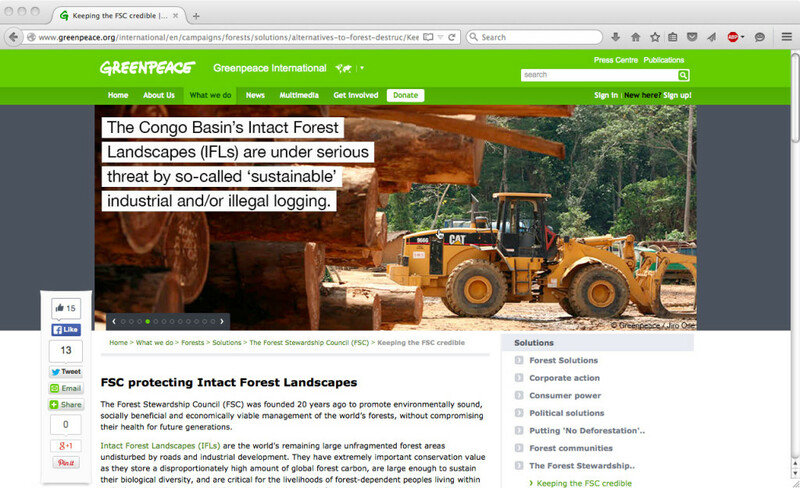 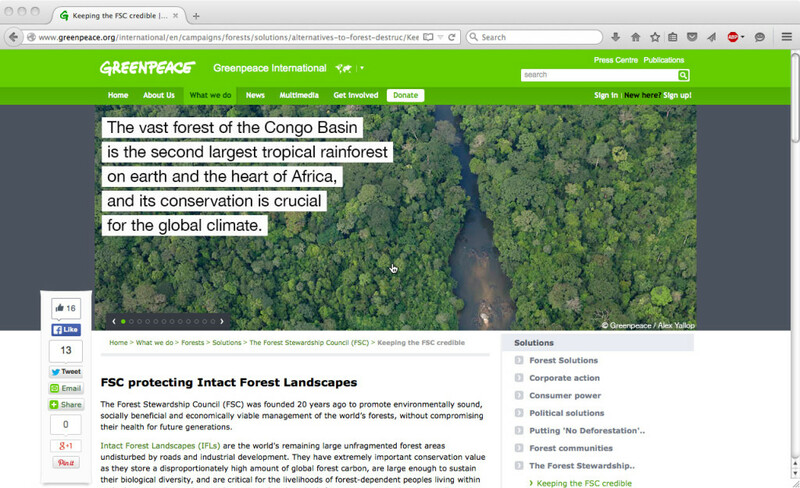 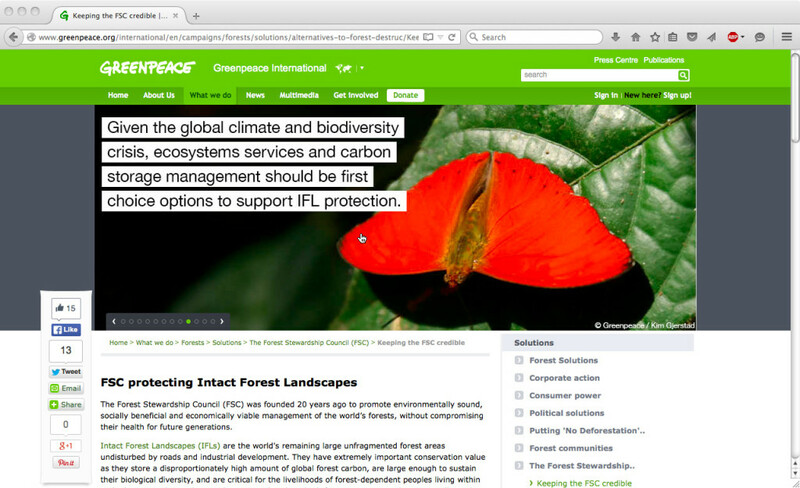 You can also see the banner on the Greenpeace website (http://www NULL.greenpeace NULL.org/international/en/campaigns/forests/solutions/alternatives-to-forest-destruc/Keeping-FSC-credible/).